What Will ’DWTS' Teams Perform For Week 3 Most Memorable Year Routines? 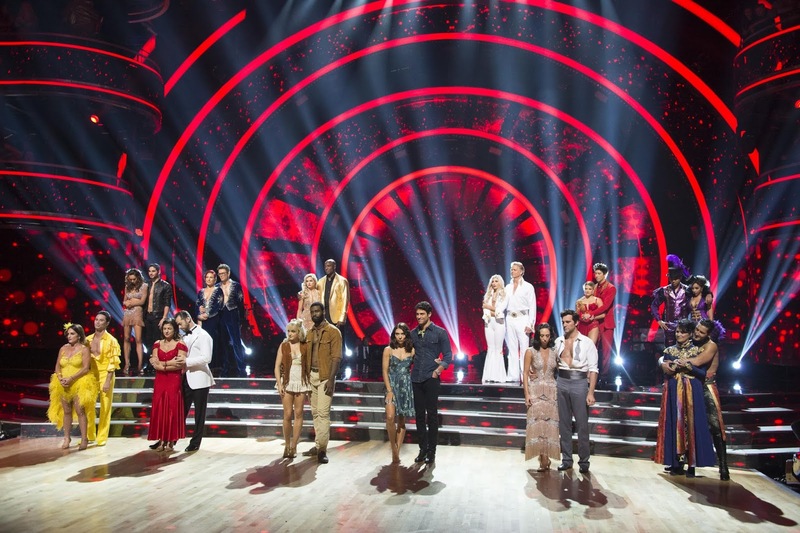 “Dancing With the Stars” teams were shocked to say goodbye to Paralympian Danelle Umstead in Week 2, but the Season 27 cast will now once again need to focus on preparing for the threat that their own time on the competition is coming to an end. As a result, before another team says their goodbyes, they will all relive the most memorable year of their lives in what could be their final routine. The ABC reality competition series will feature the highly anticipated “Most Memorable Year” night on Monday night’s episode. The routines will feature the remaining 11 pairs dancing either a contemporary routine, Argentine Tango, Viennese Waltz, Samba, Waltz, Rumba or a Jive, set to songs which reflect on a year that each celebrity considers to be a big one in their lives. The night is known for usually emotional routines, which can also translate to some high scores. Considering the leaderboard has already seen some teams receive 9’s for their routines, the night could mean fans and teams alike are in store for the first 10’s of the season if they manage to pull off flawless routines. While the 10 paddles, and even perfect scores, have been seen this early in the competition in the past, it’s a rare feat, and with so many teams already reaching close to perfection in their dances, there could be a chance for multiple 10 paddles this time around. Juan Pablo di Pace and Cheryl Burke (#TeamChernando): Juan Pablo and Cheryl will try to take the top spot for themselves with a Samba to “Ni Tu Ni Yo” by Jennifer Lopez featuring Gente de Zona. Milo Manheim and Witney Carson (#TeamWitlo): Milo and Witney will perform a Jive to “Can You Do This” by Aloe Blacc. Alexis Ren and Alan Bersten (#TeamRenTen): Alexis and Alan will perform a contemporary routine set to “How to Save a Life” by Ray Chew Live. Evanna Lynch and Keo Motsepe (#TeamKevanna): Evanna and Keo seem to be steadily improving on their march towards the top, and will perform a Viennese Waltz to “Hedwig’s Theme” by John Williams. Mary Lou Retton and Sasha Farber (#TeamStickIt): Mary Lou and Sasha will perform a Viennese Waltz to “We are the Champions” by Ray Chew Live. DeMarcus Ware and Lindsay Arnold (#TeamWaresOurMirrorball): After taking a small tumble on the leaderboard, DeMarcus and Lindsay will look to reclaim some glory with an Argentine Tango set to “Lux Aeterna” by Clint Mansell & Kronos Quartet. John Schneider and Emma Slater (#TeamSuperDuke): John and Emma will perform a Waltz to “Smile” by Ray Chew Live. Nancy McKeon and Val Chmerkovskiy (#TeamMcVal): Nancy and Val will perform a Rumba to “Love Someone” by Lukas Graham. Joe Amabile and Jenna Johnson (#TeamCHECKusOUT): Joe and Jenna will perform a Viennese Waltz to “You are the Reason”, which will feature a live performance by Calum Scott and Leona Lewis. Entertainment - U.S. Daily News: What Will ’DWTS' Teams Perform For Week 3 Most Memorable Year Routines?